Can we show compassion to the families of killers? One can only imagine the suffering that the families of killers go through when they first find out what happened. But we have to imagine: there has been very little research published on the trauma that families such as the Loughners are experiencing at this moment. 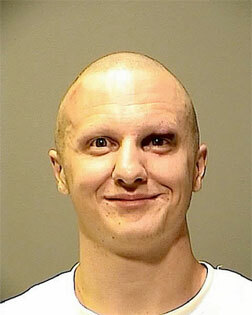 It may have to do with the fortunate fact that there are very few crimes like the one Jared Loughner committed. The families of most convicted criminals rarely experience the piercing spotlight that the Cho, Loughner, Klebold, or Harris families experienced … public and political scrutiny on a global scale. They are left to deal with the public questions that rarely have clear answers: did they know what was happening? Could they and their families have been the source of this pain? The pain of loss and grief is amplified by incomprehension. A statement issued by Seung-Hui Cho’s sister in the aftermath of the Virginia Tech shooting speaks volumes, “We are humbled by this darkness. We feel hopeless, helpless and lost. This is someone that I grew up with and loved. Now I feel like I didn’t know this person.” A 2008 Washington Post article reported that the family was still living in seclusion after the killing. The Kaczynski family was left with similar questions and pain. Even though we have yet to fully understand the reasons why in cases such as these, the lives of the families are forever marred by questioning, pain and guilt. Often they are not allowed to mourn their children publicly. This isolation can leave family members feeling alone when they need community the most. What we do know is that compassion, especially the gift of acknowledging the family’s humanity, can make a difference even in this darkest of times. Stories like these can only help to bring healing, and that healing for the family of Loughner will be long and painful. The family will have to endure plenty of anger, shame and possibly threats. Hopefully, that will be eased by the compassion of others.